The winner of the first edition of this legendary rally in 1969 was Marcel Van den Steen with Houben as co-driver on the most legendary Lancia Fulvia on 1300. 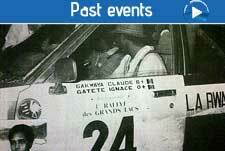 Until 1989, the Rally of the “12 Heures de Butare” always took the same circuits A and B around the city of Butare and took place at night almost exclusively (departure at 7 pm in the evening and arrived the morning following at 7 am). 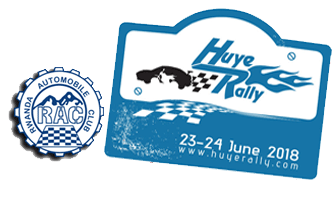 But actually, the rally crosses the some areas around the city of Huye like Mbazi-Gihindamuyaga and Munini-Nyakizu, Kibilizi and the famous runway of Cathédrale-Cathédrale southward, near the border of Burundi and it is up to now the only rally in Rwanda having a night stage. The atmosphere of this Rally is unique and incomparable. The spirit of good-companionship and sportsmanship is excited by the fact that all the amatures of Car-racing of Rwanda move for a week end in the city of Huye. Under the name of " Mémorial Gakwaya ", this Rally is also the " Rally Memorial " of our other disappeared friends of the Rally: "Mémorial Gitoki" in memory of the regretted brave "Gitoki". This Rwandan driver disappeared during the tragic events of 1994 which saddened Rwanda and “Memorial Michel and Chantal " tragically disappeared in a road accident in Uganda, coming back to the Pearl of Africa where they had supported crews from Rwanda. THE RWANDA AUTOMOBILE CLUB CELEBRATES MORE 40 YEARS OF ACHIEVEMENTS! With the participation of its skilled pilot to different rally abroad, the notoriety of automobile sport in Rwanda is expanding every year. This notoriety has also been reached owing to the energy and passion of officials, partners, organizers, competitors, security, supervisor, and publics. This united team is driven by its passion for sport and its thirst for adventure. The RAC would like to take this opportunity to thank them and express gratitude to those who participated to this notoriety in the past: sir faarup abd vandijk, jean Pierre De Bruyne , Léandre Degroot, Mbonampeka Stanisias, Etienne Cottet, Réne Dewolf, Serge Evrard,Pol Hendrickx, Michel Herman and many others. 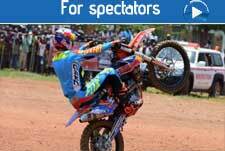 Due ti its efficiency and its atmosphere, the automobile sport is a major sport event in Rwanda and it is greatly appreciated by people all around the country. It has always been important for the “Rwanda Automobile Club”, presided by sir Dismas Kayibanda, to reach high quality standard in automobile sport and once again this year, it has achieved its goal by being a part of the FIA African rally championship. 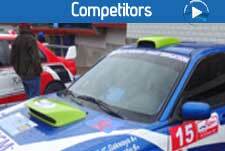 As a matter of fact, the “Rwanda Mountain Gorilla Rally”, which will be happening from May 4th to May 6th in Rwanda, is one of the FIA African rally Championship and is welcoming pilots of renown from different country: Japan, Zambia, Zimbabwe, South Africa, Uganda, Kenya, Tanzania, Burundi and Belgium. 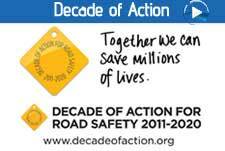 As a demonstration of its recognition, the FIA has sent an observer and delegates from other countries. Moreover, its National championship embraces seven to eight rally of variable difficulty, which takes place in every province of the country. It is interesting g indeed for a country to use such an important international sport federation to convey a positive image and Rwanda should use this economical carrier to show its worth, its stability and its economical development. Let’s take advantage of this commercial event, followed by people all over the world and look at the future! During the rally itself, they then follow the road book to fulfil the directives of the course, and they regularly have to stop at “time control checkpoints”. These checkpoints aim at verifying the presence of the cars at different points of the rally, and hence, that they do follow the expected road. The different teams leave every 3 minutes, so as to avoid the dust from other cars. They must respect strict timetables between time checkpoints: delays, but also advances, are penalised! In order to do this, the road books are shown by the pilots at the various official checkpoints. The marshal writes down the time at which the book was presented, which will help to attest the respect of the indicated planning. After one stage (for instance, after one day) of the competition, the teams will start again in an order defined by acquired scores: the winner will be the one leaving first. As the technical and mechanical level, before being allowed to take departure, all the cars are strictly controlled and verified by a technical delegate of FIA and a local delegate. They check all security aspects (seats, belts, roll-bars, front and back lights, etc. ), as well as on conformity aspects. During the rally, service areas are planned after some predefined km. the maintenance team then verify the mechanics of the car, tank for fuel and for oil. It is also at these services areas that the pilot may chose the tires that will suit best for the next section of the road. 2002: Bruno Puggia – De Roover I. 2005: Ruddy C – David I.